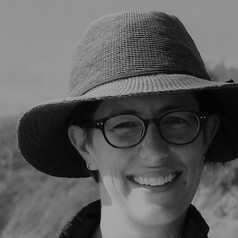 Dr Anna Taylor lives in Cape Town and works as a research fellow, specializing in urban climate adaptation-related issues. She works for the African Centre for Cities at the University of Cape Town, and for the Stockholm Environment Institute, an international research organization that aims to bridge environmental science and policy making. She received her PhD in Environmental and Geographical Science from the University of Cape Town, studying the City of Cape Town’s organizational decision-making on climate adaptation. She is currently engaged in a collaborative research project, called FRACTAL, working with city governments in 9 southern African cities on the use of climate science information in urban governance and management.